In the past, TACA membership was separate from the TACA Animal Control Officer Certification service. That is no longer the case. Once an officer successfully completes his or her Department of State Health Services (DSHS) state-approved Basic Training Course, he or she is in compliance with the new state law (Health and Safety Code Chapt.829), and needs only to obtain thirty (30) Continuing Education Hours every three (3) years. However, if the officer wishes to be CERTIFIED, he or she must become a TACA member. TACA can no longer certify non-members. The Department of State Health Services does not certify Animal Control Officers. DSHS provides Basic Training Courses and approves third-party vendors who teach Basic Training Courses. DSHS is also the sole approval authority for Continuing Education hours for Animal Control Officers in Texas, and any class provider wishing to have their training classes approved must apply in advance to DSHS. TACA no longer approves credit hours. Certification is obtained through the Texas Animal Control Association after the officer successfully completes a state-approved Basic Training Course. Membership in TACA is on a year-to-year basis. The standard individual membership is our "Certified" membership, replacing the former "Active" membership. One does not have to have completed Basic to be a member. Any person working in the animal welfare field and whose primary duties are directly related to animal control may join at the "Certified" member level, which includes voting rights and other benefits listed below. Officers who successfully complete a state-approved Basic Training Course should also join at the "Certified" level, as TACA will certify them. Additionally, any TACA "Certified" member who has successfully completed an Advanced, Administrative, or Instructor course anytime in the past (proof must be provided) and is currently in compliance with Chapter 829 requirements may certify at those levels, too. Apply Online Now. When filling out the application to join, new members will be asked to provide an email address. It is important that we have the member's unique email address. 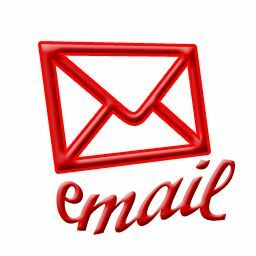 Members may not share a common email address...each must have their own email address. Please do not use a supervisor’s email or a purchasing agent’s email. All results of financial transactions are emailed to members automatically. If your purchasing department needs a copy of an invoice, please contact our Executive Director for help. Open to all animal control and humane personnel whose primary duties are directly related to animal control. (receive these benefits; TACA Newsletters, voting rights, reduced conference & seminar registration fees for those sponsored by TACA , and reduced new certification fee for advanced & administrative if basic certification is current.